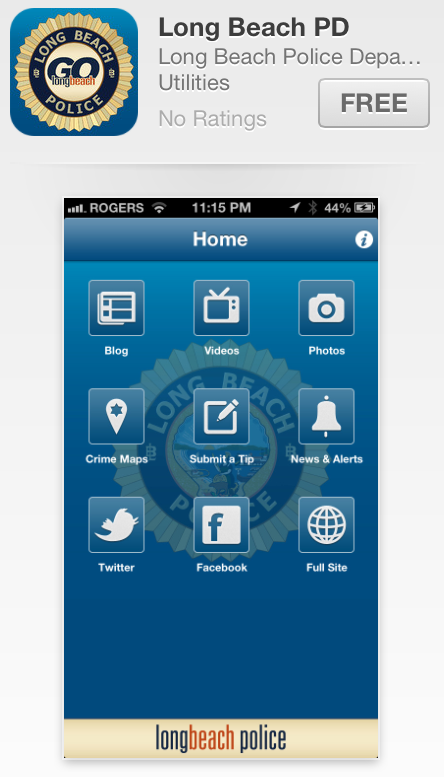 Photo courtesy of Building Healthy Communities: Long Beach. Photos are beginning to appear of protestors in front of Los Angeles Mayor Antonio Villaraigosa’s home as people–some of them members of a Long Beach-based group–go on a 24-hour hunger strike against the controversial proposed rail yard for BNSF’s Southern California Gateway Project (SCIG). Organized by the Green Los Angeles Port Working group, a coalition of mainly Long Beach-based community organizations that focus on health and environmental issues, the non-violent protest will focus on what they feel is the “environmentally racist” unanimous passage of the SCIG’s final Environmental Impact Report (FEIR) by the L.A. Port Board of Harbor Commissioners earlier this month. Multiple groups–most vehemently the East Yard Communities for Environmental Justice, the Coalition for Clean Air, and the Natural Resources Defense Council–have slammed the FEIR for having multiple holes and misleading the residences it directly affects about the project’s impact on air and noise pollution, as well as traffic. Paired with the slogan, “You can go days without eating but cannot survive more than a few minutes without breahting!” posters appeared both online and throughout the West Long Beach neighborhoods that will be vastly affected by SCIG and advertised two carpools the group was organizing from Long Beach to the Mayor’s Mansion in Central L.A. The first left Admiral Kidd Park at 6AM this morning. The second will leave at 2PM. 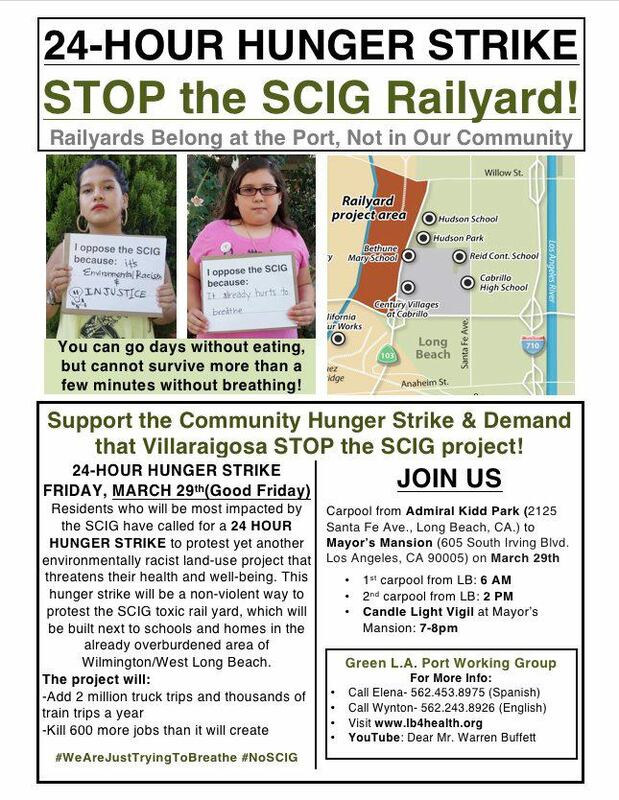 Having begun at 7:30AM this morning, the starving protestors will continue to camp in front of Villaraigosa’s home 605 South Irving Boulevard and hold a candlelight vigil at 7PM. If asked to leave, organizers stated they will migrate to City Hall.